A versitile pair of three tier lucite side tables. 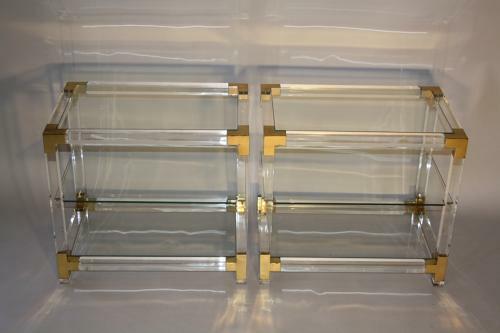 Glass shelves sit into a lucite and brass cornered frame. French c1970. Great for lamps either side of a sofa or bedside tables. A bit tricky to photograph!